A brilliant exhibit in London uses archival fragments to tell a story of violence and creation. The problem of how things began and of setting the story straight is one that Palestinians share. “Europa,” Emily Jacir’s first solo exhibition in the United Kingdom (which recently closed at the Whitechapel Gallery in London), is an attempt to piece together a narrative perpetually threatened with erasure. The show’s title suggests a lost or alternative history, a Europe of the mind, more capacious than its current political definition. Jacir, a Palestinian living in Rome, describes herself as an artist who “lives and works around the Mediterranean,” and much of her work points to the centuries of exchange and influence that link those who have lived on its shores. (An essay by Jean Fisher in the catalog hails Jacir’s interventions as “gifts of thought to Europe from an intimate stranger.”) In 2009, for the first Palestinian Pavilion at the Venice Biennale, she devised stazione, in which the Arabic names of vaporetto stops were placed next to their Italian counterparts, creating “a bilingual transportation route through the city” and drawing attention to Venice’s shared heritage with the Arab world. It was in Venice, for example, that the first mechanically printed Arabic Koran was produced in 1537; and one of the stops, Arsenale, derives its name from the Arabic dar as-sina’a. The project was never realized; the city authorities abruptly withdrew their permission without explanation. (Four years earlier, Gregor Schneider’s proposal to erect a giant black cube in St. Mark’s Square was rejected because it was thought that its resemblance to the Kaaba, the square black building in the heart of Mecca, might anger Muslims.) At the Biennale, Jacir was allowed to distribute only the maps and leaflets meant to accompany the stazione, with digitally retouched photographs of what they would have looked like. The idea was that these documents might lead people to the stops and, when they found the names untranslated, prompt them to wonder why. Coming across the brochures after the fact (visitors to the White­chapel are encouraged to help themselves), one might also believe that the installation actually took place: a bittersweet victory, perhaps, yet still a small act of redress. An inadvertent reminder, too, of the power of archives—collections of what we discard and what we choose to keep—to shape the stories we tell about the past. Further poetic justice is enacted upstairs, where a filmed concert plays on a loop. The strains of the oud and the trumpeter’s composure suggest a peace belied by the work’s title, ENTRY DENIED (2003). The three musicians are Austrian nationals, and the concert was slated to be held in Jerusalem. But on arrival in Tel Aviv, the oud player, who is of Palestinian origin, was refused entry for unexplained “security reasons” and sent back to Vienna, having been held for 24 hours in the airport’s detention center. Art can exact a revenge on life; Jacir filmed the ensemble playing instead to an empty concert hall in Vienna. Nothing about the footage suggests we are not in Jerusalem. For the duration of the film, the performance unfolds as planned, untrammeled by politics. Europa is also a story about creation born of violence and coming out on top. I once heard the Israeli historian Ilan Pappé say of his book The Rise and Fall of a Palestinian Dynasty that it was an attempt to demonstrate the existence of Palestinians, to counter the myth of “a land without a people” by telling the story of one of its most distinguished families, the Husaynis. Jacir’s ex libris (2010–12) attempts a similar kind of salvage, albeit on a smaller scale. It is a room full of photographs, some at eye level, others hung high and blown up large, of marks that people have made in books: inscriptions, inkblots, marginalia in a motley of scripts. 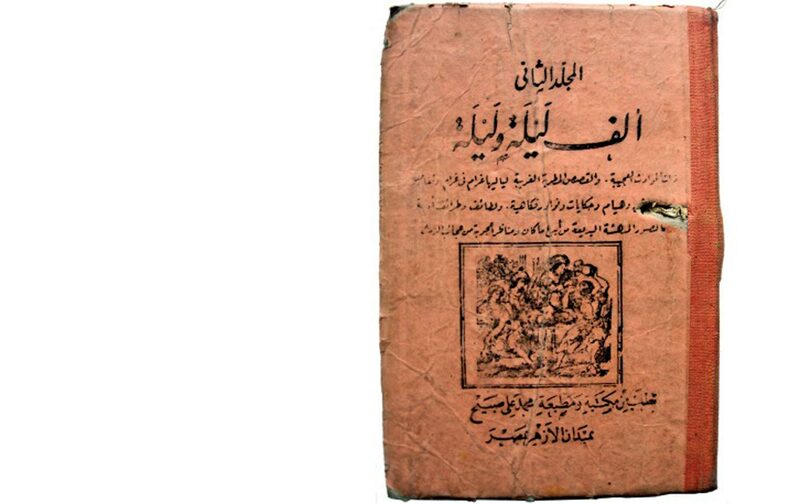 The books are among the 30,000 looted from Palestinian homes and institutions in 1948, many of which are now held at the National Library of Israel under the label “AP,” for “abandoned property.” By unearthing traces of their original owners, Jacir quietly mounts the case against that description. A scrap of paper with a haloed Jesus, used as a bookmark, remembers both the pages read and the hand that turned them. A stamp from a library in Gaza says not to be taken away. The room has the feel of a detective’s evidence board and shares with much of Jacir’s work a forensic, almost archaeological patience. In a cultural landscape marked by loss and deprived of institutional solidity, details like these count. Doodles and coffee stains hint at the past lives of these looted texts. They say: We were here. This happened. The most ambitious excavation is Material for a Film, Jacir’s ongoing attempt to document the life of Wael Zuaiter, the first Palestinian to be killed by Mossad agents on European soil. Zuaiter was gunned down outside his apartment in Rome in 1972. Twelve bullets were found in his body; a 13th had lodged in his copy of One Thousand and One Nights, which he was translating into Italian. The irony bites deep: Jacir knows as well as Scheherazade that storytelling is a lifeline, a ruse in the face of death. What we know about Zuaiter is largely due to the work of his companion, Janet Venn-Brown, who kept a meticulous archive of his things. For such a prominent figure in Italy’s cultural life (he was involved with Pasolini and Moravia, whom he introduced to the Middle East), the display is scant: scattered books and records, snatches of his voice, a few blurry photographs. But the title is deceptive. These shards of a life cut short are not notes for a future synthesis. They are the monument itself, fragments being the form that occupation and displacement seem to dictate. Yasmine SealeYasmine Seale is a writer and translator living in London.